I've got a more detailed post on my blog (including some future ideas) or you can just grab the code from github. 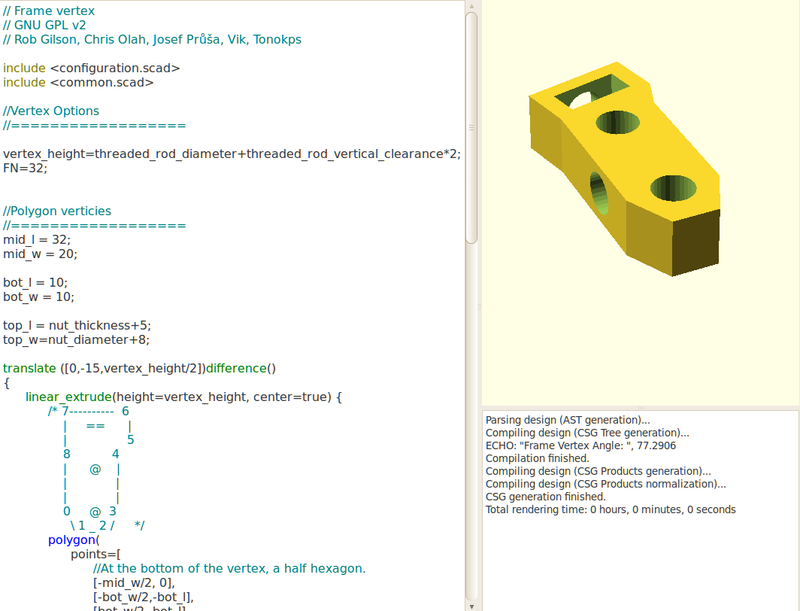 Note that my work is not yet merged into mainstream openSCAD. Thank you! I was dying without syntax highlighting! Report the 3D coordinates of the hit point. thickness and cylinder diameter and so on. between them, and 2) if they are at an angle, the angle between them.